To celebrate Queen Elizabeth’s new once-in-a-lifetime record as longest-reigning British monarch (as of September 9) as well as the birth of Princess Charlotte (on May 2), and to open CAMMAC Ottawa-Gatineau’s 2015-16 season, we invite you to join us to sing and play Mozart’s glorious Coronation Mass! Date: Saturdays September 26 and October 3, 2015. Rehearsals: September 26: 10:00 a.m. – 12:30 p.m. for the choir, and 2:00 – 4:30 p.m. for the orchestra. Reading: Saturday October 3: 2:00 – 5:00 p.m. choir and orchestra. Location: St. Matthias Anglican Church, 555 Parkdale Ave. (just south of the Queensway; directions are here). Students: free for CAMMAC members; $5 for non-members. Others: CAMMAC Members: $20; non-members: $30. Non-members are strongly encouraged to join CAMMAC. Interested vocal soloists (SATB) must contact Elizabeth at arts.lizajane@gmail.com or 613-724-3719 to register and obtain scores (which are also on the Web; see below). Priority will be given to CAMMAC members who have not sung a solo with us before. All choristers are welcome; pre-registration is not necessary, though recommended. For information please contact Pierre at pierreto2@gmail.com or 613-234-1297. Vocal scores will be available at the rehearsal; they are also available on the IMSLP site or the choral wiki site. For those interested, there are MIDI files to learn choral parts on Cyberbass.com. MP3 and MIDI learning files can be downloaded from JohnFletcherMusic.org. The Mass is also on YouTube. The Coronation Mass requires the following instruments: violins, cellos, double basses (sorry, no violas), 2 oboes, 2 bassoons, 2 horns (in C), 2 trumpets (in C), trombones (ATB), and timpani. Orchestral parts are available on the IMSLP web site. Please print your part and bring it along. Pre-registration is necessary for winds and timpani: please contact Elizabeth at arts.lizajane@gmail.com or 613-724-3719. Priority will be given to CAMMAC members up to August 20. Though not necessary, pre-registration is highly recommended for string players; please contact Khalid at kmad@rogers.com or 613-829-7277. Please bring a copy of your part even if you have not pre-registered. Born in Salzburg, Austria, on January 27, 1756, Wolfgang Amadeus Mozart showed prodigious ability from early childhood. From the age of five until his death in Vienna on December 5, 1791 at the age of 35, he composed over 600 works, including many that are acknowledged as pinnacles of symphonic, chamber, operatic and choral music. Thomas Annand has delighted audiences, critics and musicians with his multi-faceted talents as conductor (choral and orchestral) and keyboard player (organ, harpsichord and piano) for some 30 years. More recently, he has also attracted attention as a composer of choral and organ music. His repertoire covers a wide spectrum of 500 years of music, with emphasis on the works of J.S. Bach. After completing his M. Music at McGill University, Thomas went to Paris to further his studies and conduct research. 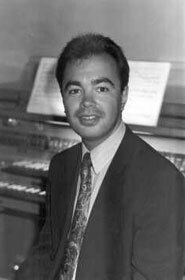 In 1992 he was appointed Director of Music at St. Andrew’s Church, Ottawa and became the organist and harpsichordist for the National Arts Centre Orchestra. In addition to conducting the choir and playing at the regular Sunday services, Thomas has also overseen the complete restoration of the organ. He was the conductor of Capital Brassworks for six seasons, and has appeared as a guest conductor with Thirteen Strings Chamber Orchestra, as well as being one of its members. 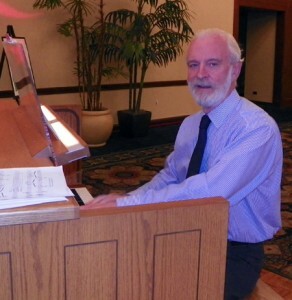 Thomas is also a frequent collaborator with Les Violons du Roy. He has also performed at several prominent festivals, both national and international. 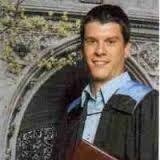 In 2004, Thomas was named a fellow of the Royal Canadian College of Organists. Do you enjoy chamber music, or would you like to get started? Do you regularly play with friends, or are you seeking to make chamber music connections? This workshop is for amateur musicians who want to share the love of music, meet other players, and get supportive coaching and advice. You can register individually or as a group. All instruments are welcome, including pianists (the house contains a beautiful Steinway grand) and recorders. Date: Saturday October 24, 2015. Pre-formed groups (of two to eight players) should prepare between one and three movements of a piece for the coaching session. Individual players who are not yet part of a group, please indicate your instrument, level, and interests on the registration form. We will help you form a group and suggest repertoire. WHAT: A just-for-fun sight-reading with Joan Harrison, cellist, of selected movements from Handel’s Water Music (the selection depends on the combination of players who register). This is a chance to try this lovely piece, and to play with some of the people from the other groups. We will double or triple people on parts as necessary. The piece was originally written for the following instruments: flute, oboes 1-2, bassoon, horn 1-2 (in F, C), trumpets 1-2 (in C), violins, violas, cellos/basses, and keyboard, but we’re happy to see substitutions and doubling (C clarinet on the trumpet part, flutes playing violin parts, etc.). Free parts are available at http://www.imslp.org/wiki/Water_Music,_HWV_348-350_%28Handel,_George_Frideric%29. WHO: Open to all workshop participants. Also open to outside players if space permits, but workshop participants have priority. WHEN: Saturday October 24, afternoon (probably 2-3 pm, depending on the overall workshop schedule). WHERE: A private home near St Paul’s University. COST: CAMMAC members $5; others $10. TO PLAY IN THE READING: Workshop participants, please tick the relevant box on the registration form, so we know how many people to expect and can assign parts. Outside players, please register, and we’ll confirm with you closer to the date. Primary contact for registration and info: Ellen Bobet, Ellenbobet@sympatico.ca. Alternate contact: Christiane Wilke, Christianewilke@gmail.com. What is a folksong? Has its criteria changed? Come meet new and old “folksongs” and the Canadian arrangers who pass them on. Location: Kitchissippi United Church, 630 Island Park Drive at 417 Highway (directions are here). Note: Enrollment is limited due to music availability. Pre-registration is required. Barbara Clark has been active in the Ottawa-Carleton music scene for more than 50 years. 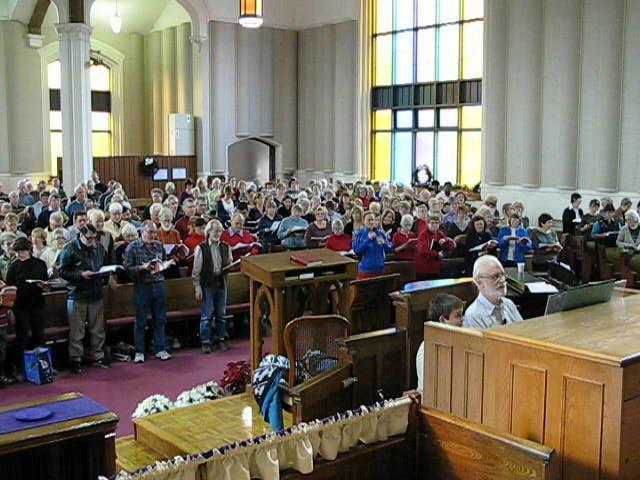 Recognized as a teacher, music consultant, singer and choral conductor, Barbara was involved with the Ottawa Board of Education Central Choir from 1965 to 2002, first as assistant and from 1979 on, as conductor. She founded the Ottawa Regional Youth Choir in 1982 as a way to encourage young people to continue their singing experiences into adult choirs. She was its conductor until her retirement in 2007. Throughout her career she has presented workshops and music camps for singers of all ages across Canada as well as in the United States, Japan, New Zealand and Switzerland. Barbara is the recipient of several prestigious awards including the Order of Canada, the country’s highest civilian honour, bestowed in recognition of her commitment to choral music throughout Canada. Organist and choir master Alan Thomas leads the rehearsals. Rehearsing with Alan is always fun — his piano accompaniment will jazz up any chorus in a surprising way! He will go over all the choruses to be sung on December 4. Usually, we look at about half-a-dozen choruses every week, rehearsing some of the more difficult ones more than once. Date: Saturdays November 14, 21 and 28. Come to 1,2 or 3 sessions to prepare for Come Sing Messiah! In contrast to last year, there is no longer a requirement for participants to register on-line for CSM rehearsals. Rather, rehearsal tickets will be sold at the door, with people indicating the date or dates they wish to attend (1, 2, or 3 rehearsals) and purchasing the required tickets at the price in question. Tickets go on sale November 7. Seating is limited. Get your tickets early. This year the CAMMAC choir and orchestra will perform two pieces: Schicksalslied (Song of Destiny) by Johannes Brahms and Mass No. 5 in A Flat by Franz Schubert. The Schicksalslied, begun in 1868 and completed in 1871, is a choral setting of a poem written by Friedrich Hölderlin and is considered to be one of Brahms’s best choral works. The Mass No. 5 in A Flat is regarded as one of Schubert’s late masses and is distinguished from his four early masses by its musically interpretive stance to the words. (from Wikipedia.org). 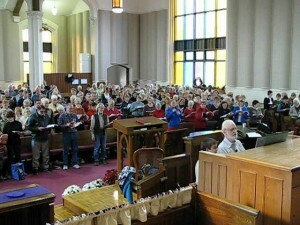 Choristers can practise both pieces with the help of Cyberbass web site at http://cyberbass.com/Major_Works.htm. 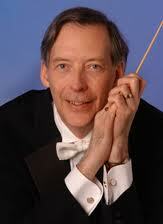 Once again James Calkin will direct the CAMMAC choir and orchestra. James conducted the Beethoven Mass in C in 2008, and we are delighted to have him back. Click here for a one-page printable sheet listing all rehearsals. Location: St. Matthias Anglican Church, 555 Parkdale Avenue (directions are here). Please note that the CAMMAC Ottawa-Gatineau Annual Regional Meeting will take place on Feb. 20 at 12:15 prior to the rehearsal. Location: All Saints’ Westboro/First United Church, 347 Richmond Road, just west of Churchill (directions are here). Choristers, contact Dawn Conway at 613-724-2954. The registration form is here. String players, contact Khalid at kmad@rogers.com. Wind players and percussionists, contact Christiane at christianewilke@gmail.com. A native of Nova Scotia, JAMES CALKIN is Associate Director of Music at Christ Church Cathedral Ottawa where he conducts the Cathedral Girls’ Choir and is principal accompanist to the Cathedral Choir of Men and Boys. Both ensembles maintain a busy schedule of liturgical, concert and recording activities as well as domestic and international tours. James also pursues an active career as organ soloist, conductor, orchestral and chamber musician throughout Canada and internationally. Mr. Calkin studied at Dalhousie (B.Mus. with a University Medal) and McGill Universities (M.Mus.) as well as the prestigious Eastman School of Music where his teachers were David MacDonald, John Grew, and David Higgs. While at Eastman he served as a graduate assistant to early music legend Paul O’Dette. In 1996-1997 a Canada Council for the Arts grant enabled studies in France with the organists Louis Robilliard (Lyon) and Dominique Serve (Aix-en-Provence). James has also studied conducting with Denise Ham, Joseph Flummerfelt, Simon Carrington, and Hugh Floyd and participated in masterclasses hosted by Chorus America and the Conductors Institute at Bard College. Mr. Calkin has been the recipient of peer-adjudicated grants from the Canada Council for the Arts, the Canadian Department of Foreign Affairs and International Trade, the Deutscher Akademischer Austauschdienst (DAAD), and the Nova Scotia Talent Trust as well as numerous academic awards at the undergraduate and graduate levels. He is also a prizewinner in numerous competitions including the National Playing Competition of the Royal Canadian College of Organists and the Lynnwood Farnam Organ Competition (Montréal). His concert activities include numerous recitals on distinguished instruments in Canada, the United States, the United Kingdom, Denmark, Germany, Hong Kong and Singapore as well as performances on the English and French networks of the Canadian Broadcasting Corporation. In addition he is a frequent accompanist and continuo player for ensembles throughout Canada’s Capital Region. The meeting is being held earlier this year to‎ comply with the new CAMMAC By-laws. The meeting is planned to last 45 minutes or less, prior to the joint choral/instrumental rehearsal for the Annual Concert. We will provide pizza for attendees‎ at 12:00 noon. Under the direction of James Calkin, the CAMMAC choir and orchestra will perform two pieces: Schicksalslied (Song of Destiny) by Johannes Brahms and Mass No. 5 in A Flat by Franz Schubert. The Schicksalslied, begun in 1868 and completed in 1871, is a choral setting of a poem written by Friedrich Hölderlin and is considered to be one of Brahms’s best choral works. The Mass No. 5 in A Flat is regarded as one of Schubert’s late masses and is distinguished from his four early masses by its musically interpretive stance to the words. Date: Sunday, February 28, 2016. Location: All Saints’ Anglican/First United Church, 347 Richmond Road, just west of Churchill (directions are here). After the concert we are pleased to offer a reception with refreshments, as well as our used music sale. A poster advertising the event is available (PDF or JPG). We would be very grateful if you could post this flyer in a public place such as your church, workplace or local community centre to help us publicise this event. Recorder Afternoon: Music for a While, with Matthias Maute. This participatory gathering will be a whirlwind of recorder repertoire from different centuries, including Matthias’s own pieces. Expect surprises! And fun! For intermediate and advanced players. Auditors welcome. Date: Saturday, March 5, 2016.
members $20; students $10 (free if student is a member); others $30. auditors: free for members and students, $10 for non-members. If you plan to attend, please email Elizabeth at arts.lizajane@gmail.com so we have some idea how many scores will be needed. But you can also just show up on the day. Matthias Maute has achieved an international reputation as conductor, recorder and flute player and as a composer. Mr. Maute is esteemed for his artistic direction of Ensemble Caprice, for whom he produces ingenious and fascinating programs. With this ensemble he regularly appears at major festivals worldwide. In Canada he has performed at the Ottawa Chamber Music Festival, Festival international du Domaine Forget and Elora Festival among others. Matthias Maute’s compositions hold an important place in the world of contemporary recorder music and are published by Breitkopf & Härtel, Amadeus, Moeck and Carus. Mr. Maute has made some twenty recordings on the Analekta, Vanguard Classics, Bella Musica, Dorian, Bridge and Atma Classique labels. He teaches at Université de Montréal and McGill University in Montreal. A come-one-come-all reading of movements 1, 3, 5, and (if time permits) 6 of Brahms’ dramatic Serenade no.1 in D. We will double people on parts or do whatever it takes so that as many people as possible can play. All strings are welcome, and there are multiple parts for horn and trumpet. We’ll also take up to 5 flutes, 5 oboes, and 5 clarinets. Priority will be given to CAMMAC members, especially those who haven’t had a chance to play in recent readings. Instrumentation: Flute 1-2, oboe 1-2, clarinet 1-2, bassoon 1-2, horn 1-4, trumpet 1-2, timpani, violin 1-2, violas, cellos, basses. Please download your part from http://imslp.org/wiki/Serenade_No.1,_Op.11_%28Brahms,_Johannes%29 (choose the Breitkopf edition). IMSLP version in the wrong key? Horn, trumpet, and clarinet players can contact Ellen at Ellenbobet@sympatico.ca for a transposed version of their parts. If you’re new to Cammac events, these guidelines explain our approach to orchestra readings. Please pre-register by Wednesday March 30 so that we know how many people to expect and can make sure all parts are covered. Strings: Khalid at kmad@rogers.com or 613-829-7277. Brahms stood in such awe of the Beethoven symphonies that it took him until age 42 to publish his own first symphony. In the interim, the two Serenades were his first major orchestral works. Serenade no.1 began as a score for winds and string octet, but Clara Schumann and the violinist Joseph Joachim urged Brahms to rework it for a larger ensemble. The resulting piece, published in 1859, has been described as “a symphony in all but name.” Ever the perfectionist, Brahms felt that the first performance of the Serenade “did not go very well,” even though the audience shouted approval of every movement and continued to applaud at the end until the composer came onstage. 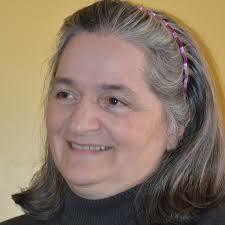 Marg Stubington is the Music Director of the Canadian Centennial Choir and at First United Church, Ottawa. 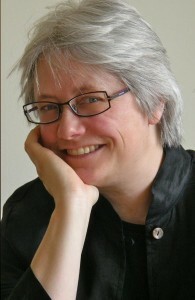 A native of Montreal, Margaret Stubington received a Bachelor of Music from McGill University (1984) where she studied piano performance with Tom Plaunt, choral arranging with Donald Patriquin, song interpretation with Jan Simons, and conducting. She held several church positions in Montreal as organist and choir director, taught piano, worked as accompanist, led a 100‐voice children’s school choir, and taught music theory and choir at the Suzuki Summer Institute. Time: 1:45 – 4:15 p.m.
Students: Free for CAMMAC members, $5 for non-members. Others: If pre-registered $10 for CAMMAC members, $20 for non-members. $5 extra is not pre-registered. Registration: Pierre Tourigny at 613-234-1297 or pierreto2@gmail.com. Lee Carter is an educator, musician and respected choral director whose passion for music and teaching others to love music can be found in all facets of his career. Now in his second year as Artistic Director for Castenchel Choir in Chelsea QC, Lee holds a full-time position at Nepean High School conducting the junior and senior choirs, the Chamber Choir, as well as one of the three concert bands. In 2007 Lee was nominated for the Premier’s Award for Best New Teacher and, in 2012, he was awarded the “Arts Recognition Award for Secondary Music” by the Ottawa-Carleton District School Board Advisory Committee on the Arts for his creative directorship, resulting in the Nepean High School vocal program’s phenomenal growth to more than one hundred singers. Lee holds a Bachelor’s of Education and a Bachelor’s of Music from the University of Ottawa where he studied tuba with Nick Atkinson and voice with Sandra Graham. This workshop is now full and we are no longer taking registrations. Date: Sat. May 7th, 2016. For this workshop, we give preference to groups of three or more that work on chamber music with piano, not just piano accompaniment. This is your chance to explore rarely performed pieces for piano and winds and/or strings; we will help you find players to fill your group. If you’re looking for ideas, please check the IMSLP website (www.imslp.org) or contact the organizers. For example, these pieces for piano, violin, viola, cello, and bass are available on the website: http://imslp.org/wiki/Category:For_violin,_viola,_cello,_double_bass,_piano. This is the list of pieces for piano, oboe, clarinet, horn, and bassoon: http://imslp.org/wiki/Category:For_oboe,_clarinet,_bassoon,_horn,_piano.